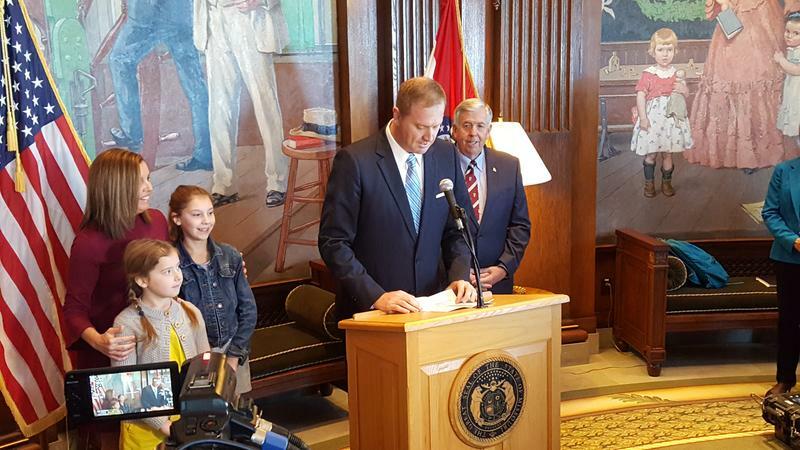 Outgoing Missouri Attorney General Josh Hawley highlighted his office’s ongoing cases Thursday, as he prepares to soon hand over operations to state Treasurer Eric Schmitt. At a joint news conference, the two Republicans emphasized some of their mutual concerns and commitments. Schmitt will become attorney general when Hawley steps down to take on his new job as a member of the U.S. Senate. He defeated Democratic incumbent Claire McCaskill in November. 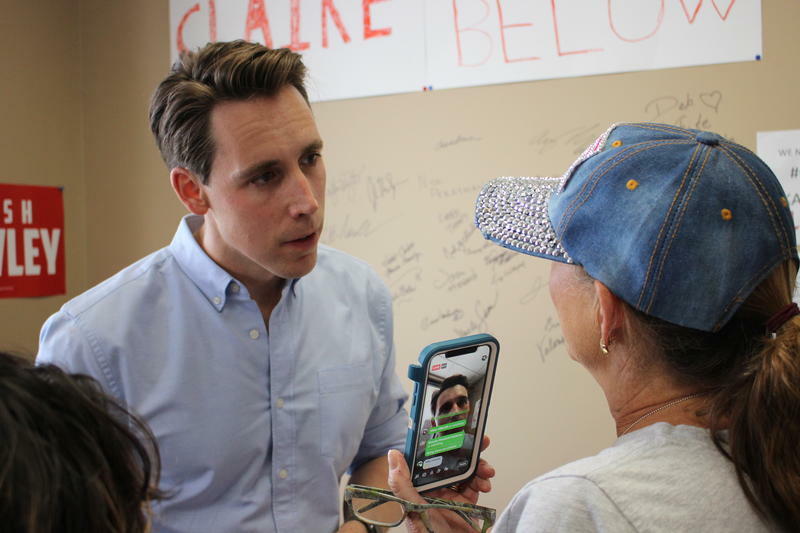 Among other things, Hawley called for the General Assembly to give serious consideration to strengthening the attorney general’s powers when it comes to enforcing Missouri’s open-records laws. 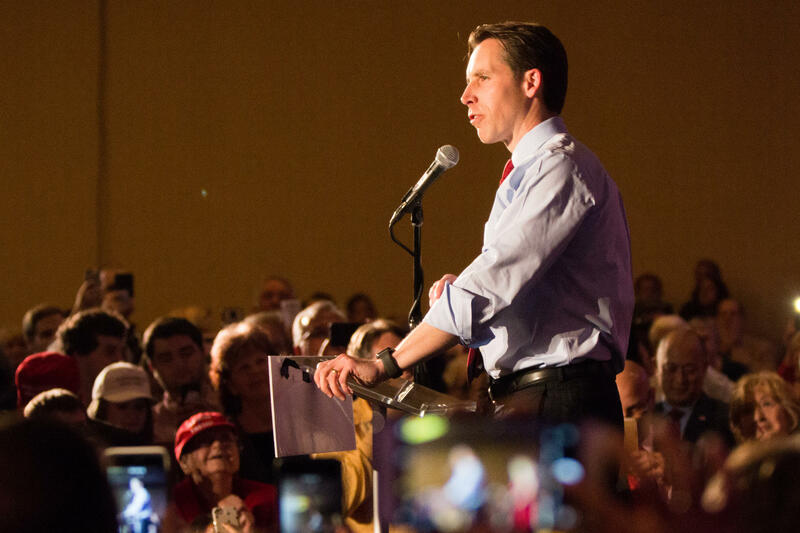 Missouri Attorney General Josh Hawley addresses supporters after winning the U.S. Senate race on Nov. 6. He defeated Democratic incumbent Claire McCaskill. Hawley noted that lawmakers had not acted on his earlier proposals, which included giving his office tougher subpoena powers. Hawley said the lack of strong subpoena power hurts the attorney general’s office in many legal probes. Hawley’s top aides overseeing various departments laid out some of the ongoing cases that will continue under Schmitt’s leadership. They include two cases involving former Gov. Eric Greitens, a Republican who resigned June 1 because of allegations of personal and professional misconduct. One of the probes centers on whether Greitens inappropriately used a charity he helped found, The Mission Continues, to bolster his campaign for governor. The other investigation seeks to determine whether he inappropriately used state resources, including his staff, for campaign purposes. Those continuing cases don’t include Greitens’ use of Confide, an electronic-messaging application that destroys the message as soon as it is read. Greitens and a number of his aides had the app on their cell phones. Hawley conducted a brief investigation, in which Greitens’ staff denied that Confide was used to conduct state business. But some critics question whether that was the case, noting the lack of evidence, since Confide messages are destroyed. State law requires that government communications be preserved for at least three years. Top aides to Hawley and Schmitt also have been reported to have the Confide app on their private cell phones. But both officials said they have been assured the application was never used for state business. Updated at 7:20 p.m. Dec. 10 with a response to the investigation from the Office of the Attorney General. Updated at 2:10 p.m. Dec. 10 with secretary of state's office requesting the auditor's help in the investigation— Missouri Attorney General Josh Hawley is under investigation for possibly using "public funds" in his bid for U.S. Senate, the Secretary of State's Office announced Thursday. His Jesuit education at DeSmet High School and St. Louis University Law School. His son, Stephen, who has autism and other health issues. Schmitt says he was at the Jesuit-run White House Retreat, in south St. Louis County, last Sunday, when he got the call from Gov. Mike Parson to tell him he had been chosen to be Missouri’s next attorney general.